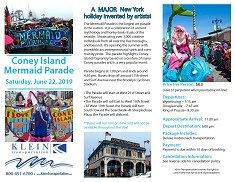 The Mermaid Parade is the nation's largest art parade and one of New York City's greatest summer events! 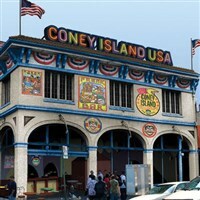 A completely original creation of Coney Island USA, the Mermaid Parade is the nation's largest art parade and one of New York City's greatest summer events. Buses will drop off around 17th Street and Surf Avenue near the Brooklyn Cyclones Stadium.